We decided to do the Appellation Trail for a few reasons. We love wine, it was an excuse for us to go to places we’d never been, and we figured it would be inexpensive and give us an opportunity to see lots of our friends. So how’d that work out for us? Though Mike and I are both the sort of people who are rarely willing to admit we’re wrong (if you’ve seen the 30 Rock episode featuring Liz and Carol’s epic battle on Carol’s plane, well, we could see ourselves going down that path if we’re not careful), after a few wine outings we’ve determined that we were mistaken in a couple of the rules we made. We need to make some modifications. Rule 5: On each trip, we must get someone at one tasting room to take a photo of us with the person pouring. This is a great idea, but it’s simply unworkable in certain situations. For example, Lodi Wine and Chocolate. One of the winemakers told us that over 5,000 tickets were sold to the event. The folks that were pouring were doing a great job making the teeming hordes feel welcome and well-cared for, but in many cases we felt that asking them to take time to indulge our photographic whims would have been too much. Also, some people just don’t like to have their photo taken. We don’t want to ruin someone’s day by pushing them to get their photo taken with us. In an overloaded tasting room situation, we will forgo the photo. When a tasting room employee clearly does not want their photo taken, we will forgo the photo. Rule Six: We will write about our experience, including our stays and each tasting, in this blog. Entries will go up within 48 hours of our experience. Ideally, posts will happen during our experience. BWAAAA-HA-HA-HA-HA! Oh, we were so naive with this one. There’s two problems with this idea. First, if we visit five wineries on a trip, that’s usually five posts going up in one day. It’s like forcing people to sit through your vacation slides; it’s just too much at once. The second problem is that we’re usually too busy during our experience to write about it. We can take notes, but the real writing happens at home. I have a full-time job; Mike has a full-time business. If we try to plow through all our posts in one sitting, then we get the writing equivalent of palate fatigue and the last winery that we’re writing about gets the short end of the stick. So, Rule Six Revised: We will write about our experience, including our stays and each tasting, in this blog. Entries will go up within one week of our experience. So, do you think we’re cheating? Are we loosening the rules too much? Is there a rule you want to see us add? Tell us in the comments! 40 wine appellations in one year? You drunks! We prefer the term “Wine fans” to “drunks,” thankyouverymuch! “The Appellation Trail” is the theme of our vacations for 2011. No, we didn’t misspell Appalachian. We can’t take 3 months off work right now to hike up the East Coast Besides, Bill Bryson already definitively and hilariously covered the Appalachian Trail hike. 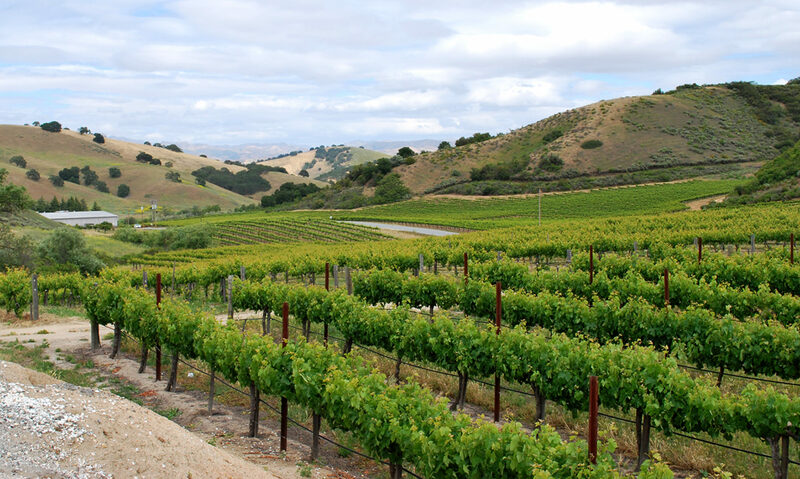 The Appellation Trail is a journey through America’s wine appellations. Over the course of the year, we will experience 40 wine appellations. 40 wine appellations? Isn’t that a lot? Initially, we were going to aim for 20. Then we remembered that our county alone (Monterey County) has nine wine appellations and California has over 100. Frankly, 20 wine appellations felt like wimping out. Plus, it’s Nikki’s 40th birthday, so it seemed like a good number. Nope! Monterey County doesn’t count. It felt like cheating. We’ve left ourselves an out, though. If it’s December and we’re desperate, we can use Monterey County to fill in a last couple to make our total. We have several other rules, just to make sure everything is on the level. In 2010, we realized that our daily lives were getting in the way of the three things we love most in the world: drinking wine, traveling, and spending time together. For 2011, we’ve made a commitment to focus on these things with the Appellation Trail project. In honor of Nikki’s 40th birthday year, we will experience 40 wine appellations in the year 2011. “Experience” is defined as tasting wines from that appellation in as close proximity to those appellations as possible. We will taste wines at the winery tasting rooms or at the winery’s designated tasting location (for example, certain smaller wineries may only offer tastings through bars or wine visitors centers). If a winery produces wines from multiple appellations, each appellation tasted at the tasting room qualifies. Monterey County wine AVAs do not count toward the total (unless we’re desperate and it’s December). In case of a designated driver situation, only one party needs to taste the wine in order for it to count toward the Appellation Trail total. Both parties must be present for it to count toward the Appellation Trail total. On each trip, we must get someone at one tasting room to take a photo of us with the person pouring. We will write about our experience, including our stays and each tasting, in this blog. Entries will go up within one week of our experience. Note: Rules modified on 2/15/11; see our post.